Chelsea are set to be told by their superstar attacker Eden Hazard that he wants to move to Real Madrid next summer. The Belgium international has flirted with Los Blancos a number of times this season and gave the strongest hint in the last few days that he will most certainly choose the Spanish giants over Chelsea’s overtures. His contract ends in the summer of 2020 but he has refused to sign the bumper new deal the Blues have offered him since the last term according to the Sun. Now, according to the Telegraph, there is a growing belief in Spain that Hazard will be part of Los Merengues at the end of this season. 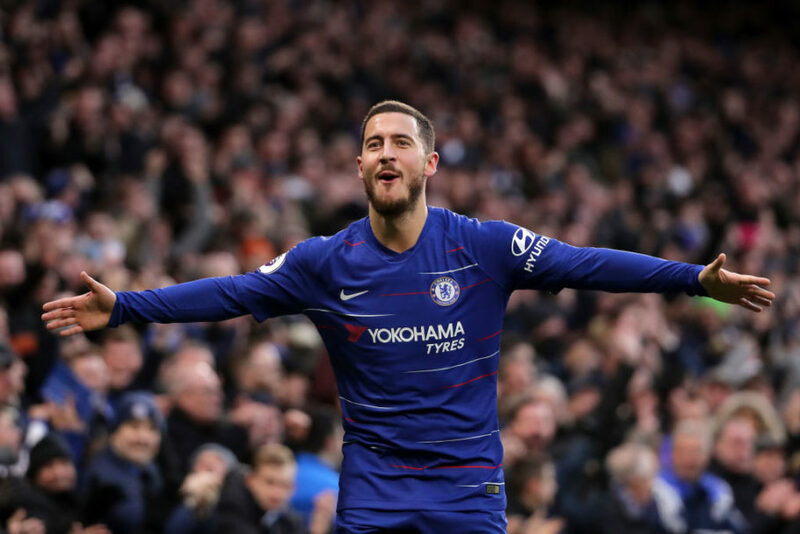 The report by Matt Law even continues to say that Hazard’s friends think the player will not remain at Chelsea and all that remains for the deal to be firmed up is for the Premier League giants and Real Madrid to agree on the deal. The deal is reported to be upwards of £100 million despite the forward having less than a year left on his contract by summer 2019.